Discussion in 'Forum Introductions (Who are you!?)' started by Arno D, Nov 7, 2018. I'm Arno, A Dutch guy living in Edinburgh, Scotland. I've lived here for 5 years now and completely changed my career. When I still lived in the Netherland I worked at a taxi company as head dispatcher. Started at that company when I was still studying Business Administration (didn't enjoy that). Got my bachelors degree but didn't finish my Master. Should have quit sooner. I stayed at the same company after I 'finished' university. Worked my way up to being head dispatcher. It was an ok job, nice colleagues, I was quite good at it. Then my wife got a job offer in Edinburgh and we made the decision to take the leap. I started by focusing more on playing music and went out to play a lot of open mics. With the contacts I made there I soon ran my own open mic and started doing sound in several venues. I still do that today. Because I'm off during the day. I looked for something else to do. A year ago I started a small business selling music related products online. Watched a lot of youtube videos with advice and it worked. I don't make a lot of money from it and it's definitely not Fastlane atm. But I really like it as I'm learning so much about running your own business. I also got into reading books about self-improvement. 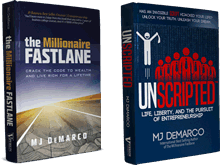 And eventually found 'the millionaire fastlane' after reading 'rich dad, poor dad'. Really enjoyed the Fastlane and am going to make a nice summary for myself so I can keep it fresh and apply it wherever I can. I'm looking forward to searching this forum and absorb all the information that is on here and hopefully also contribute to topics I know something about. lowtek and harlansjobs like this. Welcome Aboard Arno. I am new here also. 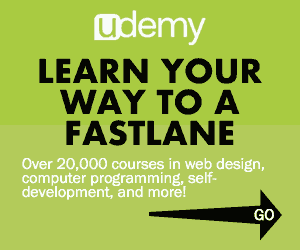 Hope that we can help each other learn, grow, and prosper here in the fastlane!!! VROOM!! Welcome to the forum Arno. Congrats on your early success. Any clear path to scaling?